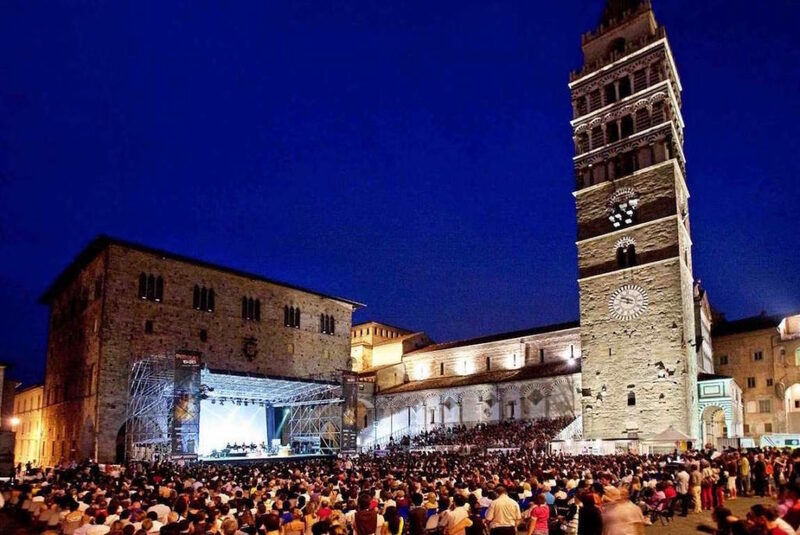 Pistoia’s largest event returns this month with the 39th Pistoia Blues music festival, featuring a range of performances that will keep audiences on their feet. The 2018 artists will take the stage of the Piazza del Duomo from July 10 to 15 and temporarily transform the church’s façade into a backdrop for an experience that comes only once a year. The 2018 series opens on July 10 with Canadian artist Alanis Morisette, best known for her alternative rock hits and moody discography. A first-time performer at Pistoia Blues, the voice behind the late ’90s hits “Ironic” and “Hand in My Pocket” boasts a songwriting prowess defined by lyrics such as, “I’m broke but I’m happy,” and, “It’s like rain on your wedding day.” Saturated with angst, Morrisette’s setlist will set the emotive tone for the range of musical genres blanketed by the festival’s blues theme. In the €30 to €40 range, tickets for Saturday’s performances are likewise available online in a variety of seating options. The July 14 lineup features Rock and Roll Hall of Fame inductee Steve Hackett, who embarked on a solo career in 1977 after getting his start as the guitarist for the English rock band Genesis. Tuscany’s own Predarubia will join Hackett on Saturday both as performers and award recipients; in partnership with the festival, Vuemme TV plans to recognize the band for the “One Day” music video released last February. “One Day” is the second of three videos paired with songs from Predarubia’s first album “Somewhere Boulevard” and features a roadtrip over empty streets and snowy mountains – a setting that contrasts the festival’s bright lights and crowded piazza. Both The Watch and The Absolute Factory will likewise introduce Hackett’s performance. Pistoia Blues will then conclude with a soulful performance by the Supersonic Blues Machine, accompanied by ZZ Top’s Billy F. Gibbons. Though performing sans bandmates in Italy, Gibbons will join ZZ Top fewer than two weeks after Pistoia ends, when the band’s tour hits California. They will be preceded by the Mark Lanegan Band, Casablanca, and Seraphic Eyes. And for those concerned about travel logistics, Trenitalia has organized a special train service to Florence at the end of each evening of the festival in partnership with Pistoia Blues. For anyone hoping to remain in Pistoia longer than the concert’s duration, both the Viareggio train line and Blubus Line 51 allow visitors to easily return to Florence on their own time. Tickets for the festival have been available since March, and customers can still purchase them online. Morissette, Blunt, and Hackett are scheduled to perform at 9 pm, while Sunday’s concert begins at 8 pm.